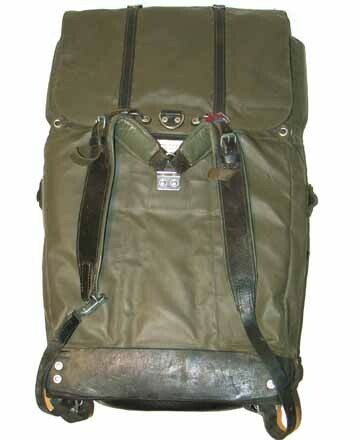 A Swiss Military Rucksack(Backpack). Reinforced with leather and metal stay for toughness. 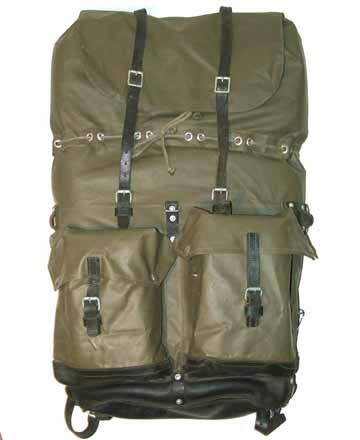 Extremely water-resistant rucksack. 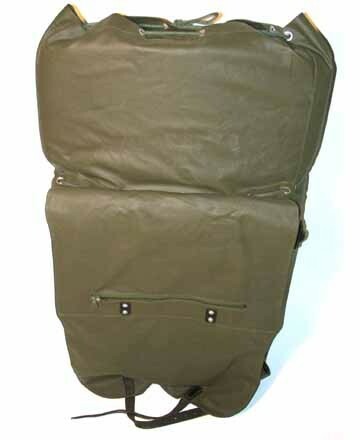 This tough rubberized nylon rucksack was designed to be comfortable, weatherproof and versatile. 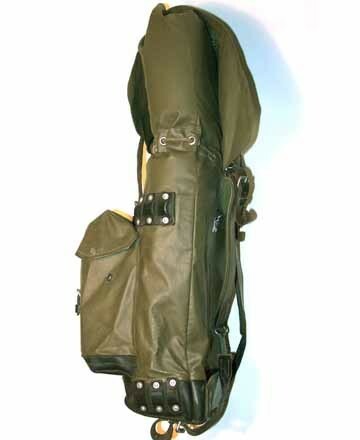 Leather shoulder straps and tie-downs. Extra large buckle-down rain flap and a heavy-leather reinforced bottom. 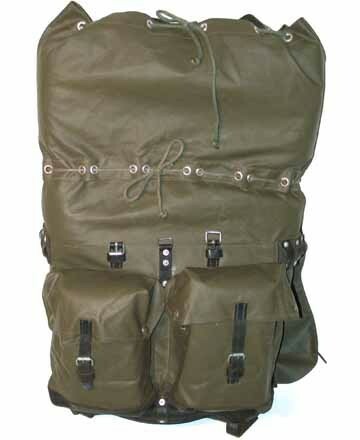 Height of this pack can be extended up to 32 inches High or 20 inches High, with two drawstring closures. 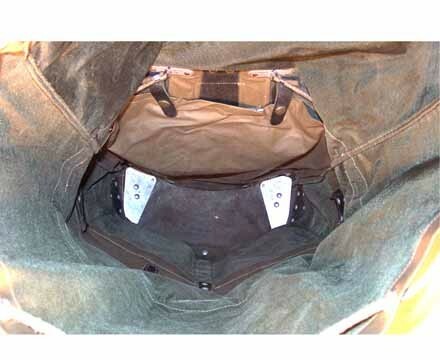 The two front pouches measure 7 x 9 x 3. Measures: 20-32 H x 16 W x 12 inch D.